Versace Collection presents this black stretch wool suit, pairing a subtly textured two-button jacket with sleek flat-front trousers. 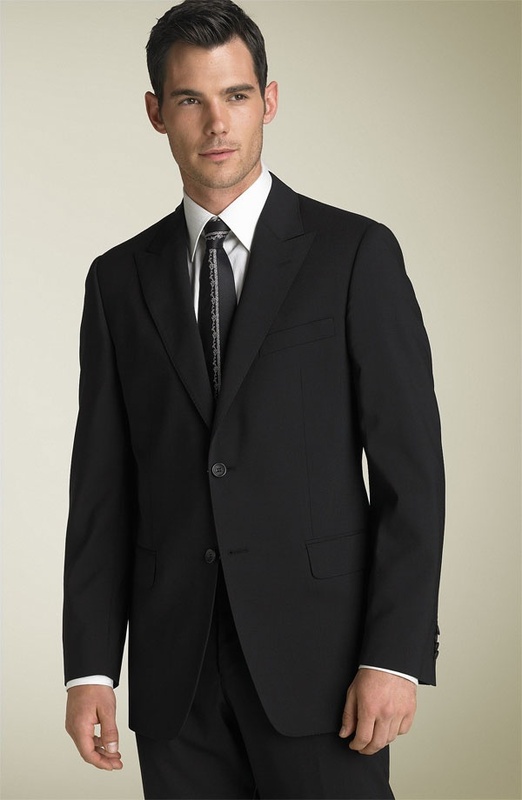 The jacket is equipped with convertible flap pockets, four interior pockets and features four-button cuffs. The modern, closer fit suit is available online now. This entry was posted in Uncategorized and tagged Black, Suit, Versace Collection. Bookmark the permalink.